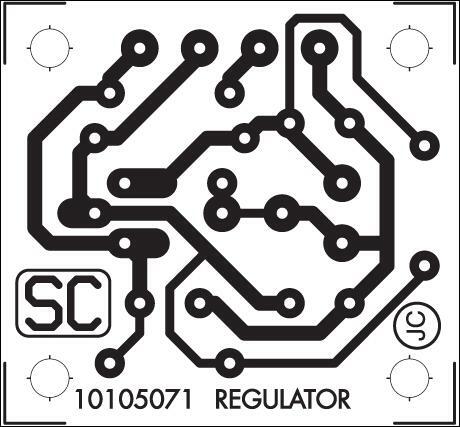 There are many fixed-voltage IC regulators available and these can be had with 5V, 6V 8V, 9V, 12V & 15V outputs. But what if you want a voltage output that does not fit into one of the standard ranges or if you want to be able to easily adjust this output voltage? 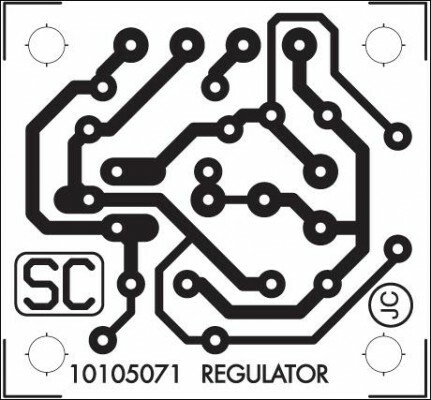 An adjustable regulator is the answer – one that can be set to provide the exact voltage you require. 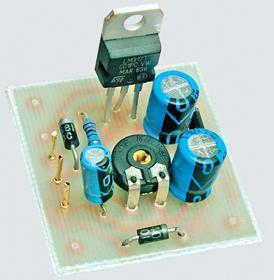 This Adjustable Power Supply comprises a small PC board that utilises a 3-terminal regulator. 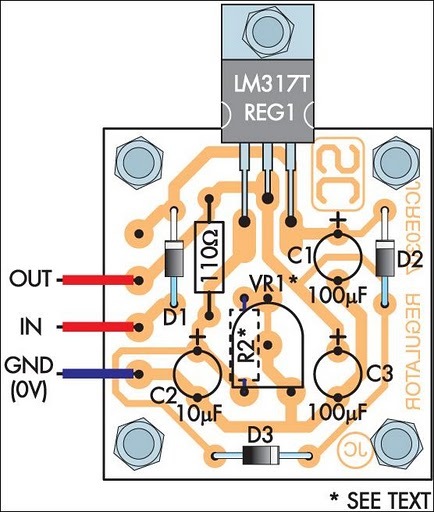 It does not have too many other components – in fact, there are just three diodes, three capacitors, a resistor and a trimpot to set the output voltage from the regulator. The circuit is based on an LM317T adjustable voltage regulator. D1 provides reverse polarity protection while P1 sets the output voltage.